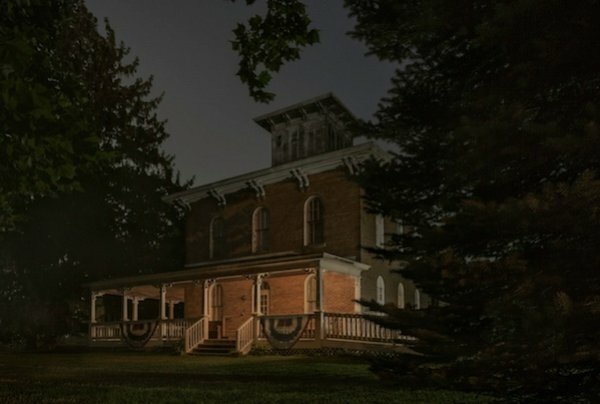 When Jeanine Michna-Bales entered the Levi Coffin house in Fountain City, Indiana, she had the sense that she’d been there before. Michna-Bales, a Dallas-based photographer who grew up in Indiana, visited the house in 2014, when she was setting out on an ambitious personal project inspired by the history of the Underground Railroad, the people who operated it, and those who followed it to freedom. 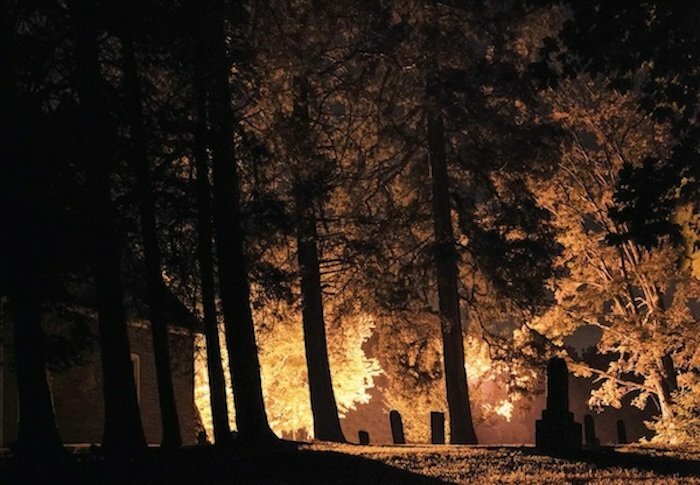 A former advertising agency art director who’d turned to photography as a creative outlet, Michna-Bales hit on the idea nearly a decade earlier while writing a daily journal. 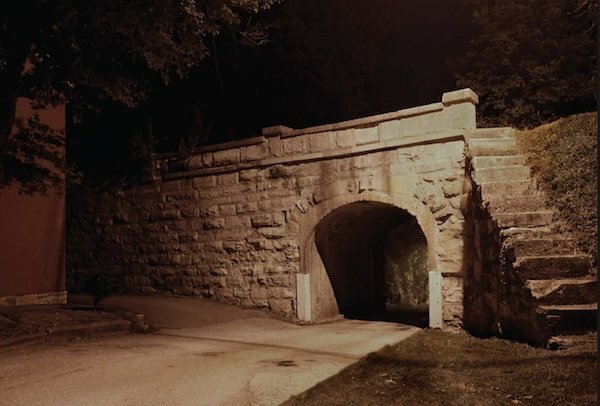 In that sense her project was a work of imagination — an effort to visualize the furtive nocturnal wanderings through unknown landscapes, the danger or the safety that lurked behind doorways, the star-filled skies and breaking dawns promising liberation — that sprang from the stories she heard in childhood, when she learned about the Underground Railroad in school. “I think that’s why the Coffin House felt familiar to me when I saw it. I’d probably been there on a class field trip and just never really forgot it,” she says. 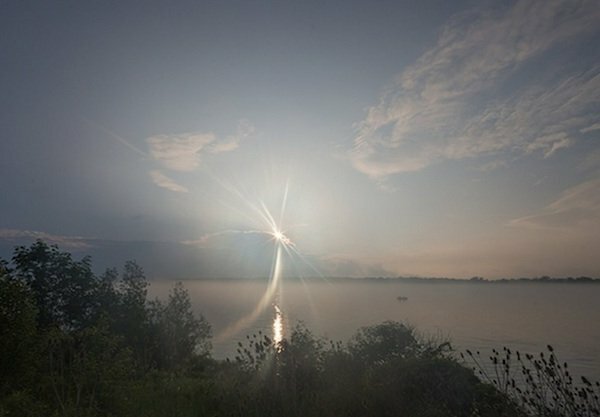 The work she began thinking about then and began photographing in 2012 is now collected in a book, Through Darkness to Light: Photographs Along the Underground Railroad (Princeton Architectural Press). It features a forward by former United Nations ambassador Andrew Young and a text from historian Fergus M. Bordewich tracing the Underground Railroad from its inception as “a movement with far-reaching political and moral consequences” to its passage into American mythology. Michna-Bales’s images, all made at night at locations from Louisiana and Alabama to Indiana and Michigan along routes she uncovered through years of research, bring together the history and the myth. 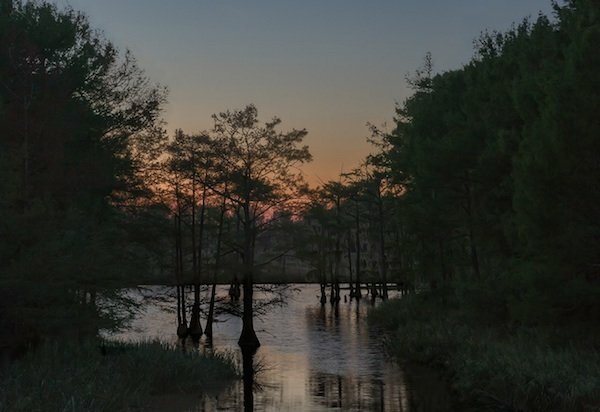 "Decision to Leave: Magnolia Plantation on the Cane River. 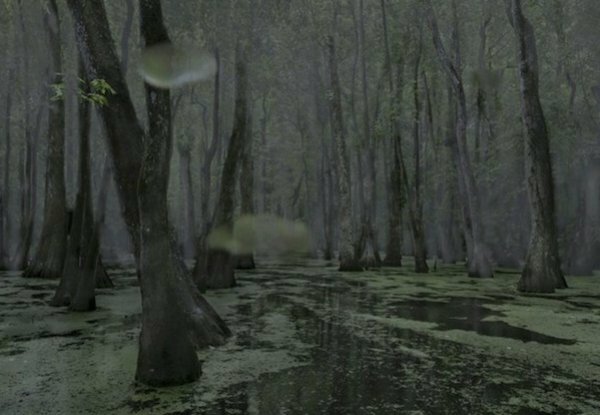 Louisiana, 2013"
"Cypress Swamp, Middle Mississippi, 2014"
"Follow the Tracks to the First Creek, Vernon Indiana, 2013"
As a topic of modern culture, the Underground Railroad is having a moment in a divided America dealing with racial conflict. Colson Whitehead’s shattering 2016 novel The Underground Railroad, for instance, blends history and fantasy in its own way, telling the story of a young slave girl who makes her way toward freedom via an actual railroad running under the ground. Another recent novel, Ben H. Winters’s thriller Underground Airlines, imagines a contemporary United States in which the Civil War never happened and slavery still exists in four states. There she stumbled onto a trove of research papers, newspaper articles and historical documents. The information led her to routes that escaped slaves took through Indiana. Working in the south was a different matter. “There I basically went off of slave narratives and whatever else I could find,” she says. One source was the collection of interviews with former slaves carried out by the WPA Federal Writers' Project during the Great Depression. Working at night in remote areas was daunting, Michna-Bales says. In the north she was often assisted by family members and friends. In the south, she sometimes hired off-duty police officers to accompany her. 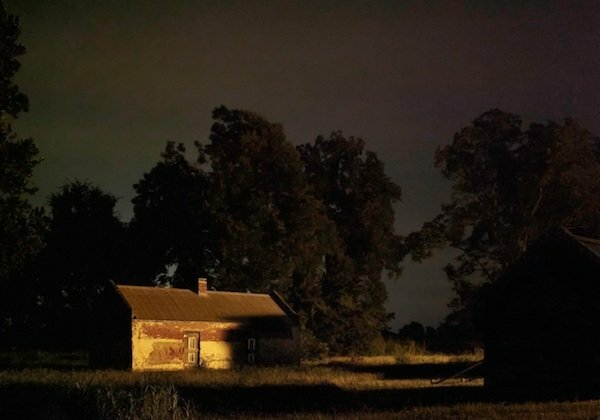 Photographing at night on former slave plantations made her uneasy. “You could feel the history there, and the hairs on the back of my neck would stand on end,” she recalls. "Wading Prior to Blackness: Grant Parish, Louisiana, 2014"
"Bird's Eye View: Erastus Farnham House, Fremont, Indiana, 2014"
"Within Reach: Crossing the St. Clair River to Canada, Port Huron, Michigan, 2014"
The hushed darkness in her pictures is forbidding. Many were shot with available light, and there wasn’t much of it. When she did light houses and other sites, the effect is dismaying. “I wanted the images to have a first-person point of view, so that viewers could feel like they were in the scene,” she says. In the new book, Bordewich notes that the Underground Railroad was the nation’s first interracial movement — an effort involving free blacks, antislavery whites, and slaves. At top: "On the Way to the Hicklin House Station, San Jacinto, Indiana, 2013"